Here’s an impression of award-winning stuff we did before friendship. 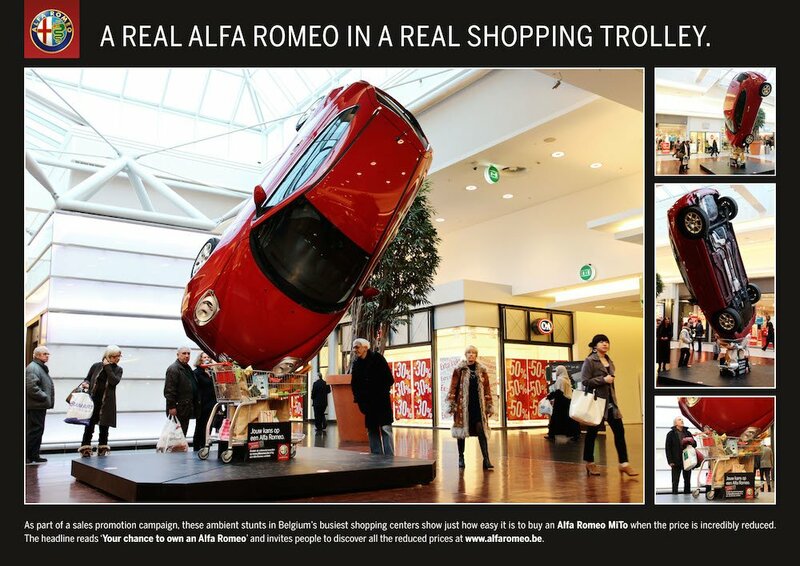 An installation where we put a real Alfa Romeo in a shopping cart. Alfa Romeo is so cheap right now, you will instantly want to sell your current car.